I have read many articles, books on successful secrets, habits to succeed ... and today I am sharing with you about the topic: 20 secrets will change your life. If you have other secrets, please leave a comment below. If you like this post, pls share it to your friends. 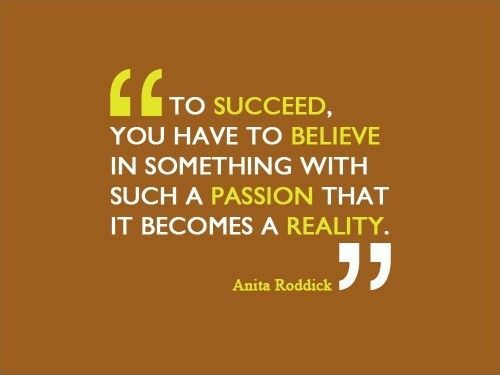 Passion alone is a huge secret of success. Once present it changes the game, the outcome. Neglecting the fact of whether or not you are passionate about something, makes the difference in the sense of consistency. You see, you cannot do things, even the right ones, if you are not passionate enough. And we can all judge only by listening to interviews of successful people that they all had, and what is more important, still have, passion. Feed your passion by constantly interacting with the things you love doing, find people who are sharing the same ride with you towards success, and be as passionate as you can. 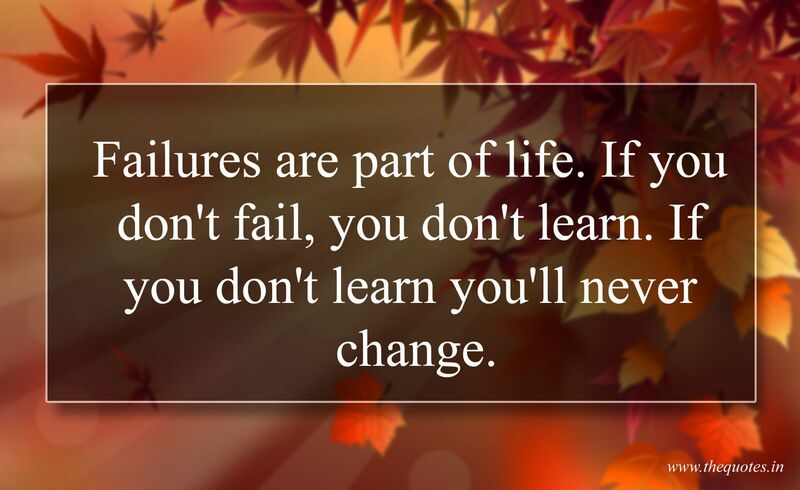 Failure is an inevitable but healthy part of life. If we wouldn’t fail, we wouldn’t advance. Our fear of failure, however, is not so healthy. Even though we’ve failed again and again in the past, we still have trouble coming to terms with the whole concept. We only see the negative aspects of a failure, which is why we’re so afraid of it. And while it is certainly true that failing can be an extremely painful experience that severely pushes you to the ground, ultimately it serves you. In the long run, every failure helps you to become a little bit better. It allows you to grow as a person and will present unexpected opportunities. Interestingly enough, many successful people owe their success to the fact that they never allowed failure to defeat them. These people would always get back up on their feet, shake off the dust from their clothes and continue pursuing their dreams. In fact, some like Thomas A. Edison were even extraordinarily proud of all their failures. These people understood that there is something by far more painful than a failure: Not having tried in the first place. How you perceive reality is what makes it in the first place. There is no thing good or bad, but thinking of it makes it so. Even Shakespeare got that right. 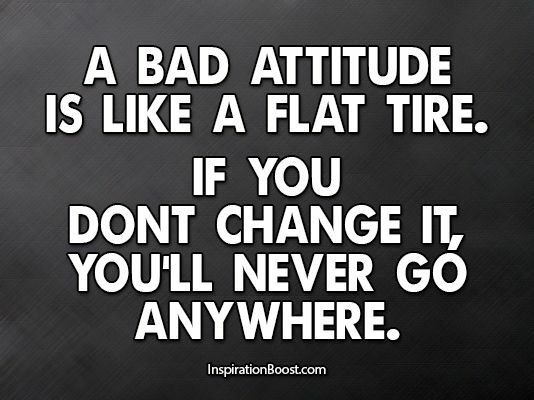 That is reason, attitude is everything in many companies. You see, being positive, having trust in yourself, your abilities, the outcome, is only allowing you to further improve, progress. There are two kinds of people – ones that say I can, and others that say I can’t. And they are both right. Start thinking of yourself as the person you want to become. You will immediately change pace afterwards. "Self-made millionaires do not rely on one singular source of income," Corley says. "They develop multiple streams." So how many sources of income do they have? "Sixty-five percent had at least three streams of income that they created prior to making their first million dollars," Corley says, such as a side-business or income generating investments like REITs or real estate. "Diversifying sources of income allows you to weather the economic downturns that inevitably occur," he writes. The formula for success is very simple: perform the actions that lead to success on a daily basis. When talking about successful people, we often notice their current state. So, they are happy, fulfilled, respected, in one word, they have accomplished their dreams. However, we should take a deeper look into the essence of the story, because the way in which all these people became successful certainly wasn’t easy. The road to success is hard, and you shouldn’t kid yourself. No success comes overnight, because every growth takes a certain time. On the other hand, in order to achieve your dreams, you need to work on them on a daily basis! It is the same when it comes to success in any other field. If you’ll be taking the right steps on a daily basis, this will surely lead you somewhere after some time. You can’t deny it, something will definitely change! At the fundament of personal success lies the unquenchable desire to learn something new. This desire facilitates your growth as a person and keeps your mind challenged. It will not only encourage you to continuously reinvent yourself, but it will also help you to fight complacency. If we no longer wish to explore the world we’re living in, we put our development to a full stop. It makes us feel comfortable with the way things are, which is not always a good thing. This poisonous mindset can be turned to dust by the desire to learn and explore something new. It will fuel your curiosity that leads you on the pursuit of adventurous endeavors. 7. Learn from everyone you meet, but remember the only opinion of you that matters is your own. If I were to guess how many people I have met in my life thus far, I would guess the number would be well over 100,000. And here's what I have observed: Everyone you meet will have some opinion of you, and though some of those opinions may be similar, none of them will be the same. Some of these people, especially family members, may have their own agenda for you and may get upset when you don't do what they want. However, live and let live and be observant. Be grateful for the other views of the world (and yourself) people show you. At the end of the day, the only person you really HAVEto live with is yourself, so make that opinion matter and make it count for good. Confronting the fear is probably the hardest thing to do. We seem to almost never overcome them, and try developing ourselves in so many different areas only not to confront our fears. But if you want that huge self-confidence, that evidence that all is possible, confront them, even if just one or two, even the smallest ones. Every successful person sometimes stepped over a difficulty. Choose yours. Successfull people will gladly help you with their advice. It is a common opinion that successful people don’t like to help others on the road to success. In fact, successful people will happily take part of their time to tell the world, and give advice on how they have succeeded on the way of realizing the dream life. Today it’s easier than ever to connect with various influential people. At a time when we have phones, Internet, video conferencing, only suckers will say that it is impossible to establish a community with successful people. Choose those people in your community that can truly help you on the way to success. Regardless of what your goals and ideas are, you should know that in each area, there are people who are experts and who have achieved notable success. Contact them and pick up some knowledge from them. Getting up early is probably the best habit successful people have. You see, the biggest secret of success is having both properly used time and properly adjusted mindset. And if you get up early you are enjoying both. Not only you will have the time to invest into your pursue for success, but you will also have the mindset adjusted in terms of being hungry for success even in early mornings, and this alone is a jewel. In the interest of full disclosure, I recently got married for the third time. Even so, this tip is not necessarily directed towards romantic relationships. In other words, I'm not saying you should have lots of girlfriends, wives, partners, companions or that you should do anything other than work to always keep your heart open. That's the only way I've found to have the possibility of connecting with another soul. Because this is a new beginning, the whole theme is moving from the mind into the heart. The heart is about vulnerability, transparency, honesty, commitment and freedom. Many times we can’t get past our past, we can’t get past grudges and resentments. If you can’t forgive yourself, how can you forgive other people? It all starts with self-forgiveness. Let go of all superficial relationships. Work on discovering real connections, not just on Facebook, but a deep connection to really get into the feelings of the other person. At that moment you can start sharing your most intimate secrets. This is a point on the road to success, in which most likely lies the biggest pitfall. Therefore, out of all the secrets of success that are somehow clearly defined and explained, focusing on the essential operations can be a huge problem. Why? Sometimes it’s hard to know which are the real actions that will lead us to our goal. Since I previously mentioned knowledge as a resource, in this part, the mentioned knowledge will definitely help. Day by day, you’ll know more of what is important, and which way is a better way towards the success you yearn for. What is important, is to leave the insignificant things out of your obligations. Focus only on what’s important, and leave aside those little things that could (maybe) be useful. It will come time for those little things later, when succeed in drawing attention to yourself. There's a myth that everyone cannot do mediation. But my friend everybody can do meditation. Meditation is nothing more than using your mind and its imagination to create a better inner life. It’s all about envisioning the way you’d like to be in certain circumstances. Meditation is glorified visualization—nothing more than mental concentration with a personal-development twist to it. But by doing it on a regular basis, you’ll actually open up new pathways in your brain and soften up your heart. You’ll also begin to access the love within you. This is so powerful habit that everyone should have it so they can add greatness to their life. If You Depend on Your Relationships for Your Happiness, You Will Either Be Happy or Sad as Your Relationships Rise and Fall. Do not make the mistake of relying on your mate, friends, and relatives for your happiness. Wed your happiness to that which endures: the path of the knowledgeable, successful person. A quiet, self-contained joy, desiring nothing from without and resting content with everything, allows you to remain independent and free--free in the quiet security of a heart fortified within itself. Not value for what you do for others, but value on what you do for yourself. Do everything you do for yourself first. When your soul intention is to please people, you basically deviate from your true expression. What you have to offer yourself is far greater than you could ever imagine. Your presence alone is enough. It’s never what you say or do, but it’s the energy behind that matters. When you start placing value on your amazing gifts, great things happen and you will change your life in the most positive way imaginable. There’s nothing that quite makes you feel as good about yourself as overcoming a fear by completing a challenge. If there’s something that you’ve perhaps always fancied doing but have been too scared to do it, then just go for it! There are many people out there who have been skydiving, for example, and described leaping out of a plane as a ‘life-changing experience’ — and then have gone on to complete challenge after challenge because of the buzz they get from it. 18. Successful people make their health a priority. Money isn't the only important resource for wealthy people. Time is crucial too. "When we invest our time in anything, it's lost forever," Corley writes. Be choosy about the apps you spend your time with, too, instead of spending hours on end watching Netflix or scrolling through Instagram. "When you see time as the greatest risk of all, it will force you to become more aware of exactly how to invest your time," says Corley. 20. Successful people live each day as if it were the last. Life is short, and there’s no guarantee as to when it will end. Successful people live each day as if it were their last and make the most out of each moment—and so should you.